Testosterone BoostersScitec T-360 - 108 kaps. BioTech Tribulus Maximus - 90 tabl. High-quality extract of Tribulus Terrestris in the form of capsules. It supports the development of lean muscle mass and improves libido! Scitec T-360 - 108 kaps. This advanced preparation is not only a strong and effective stimulator of the production of testosterone and growth hormone, as well as preparation improves erection strength and accelerate the burning of fat cells. Already after a short time of use is shown a significant increase in free testosterone circulating in the blood! 49 loyalty points Your cart will total 49 points that can be converted into a voucher of 1,96 PLN. 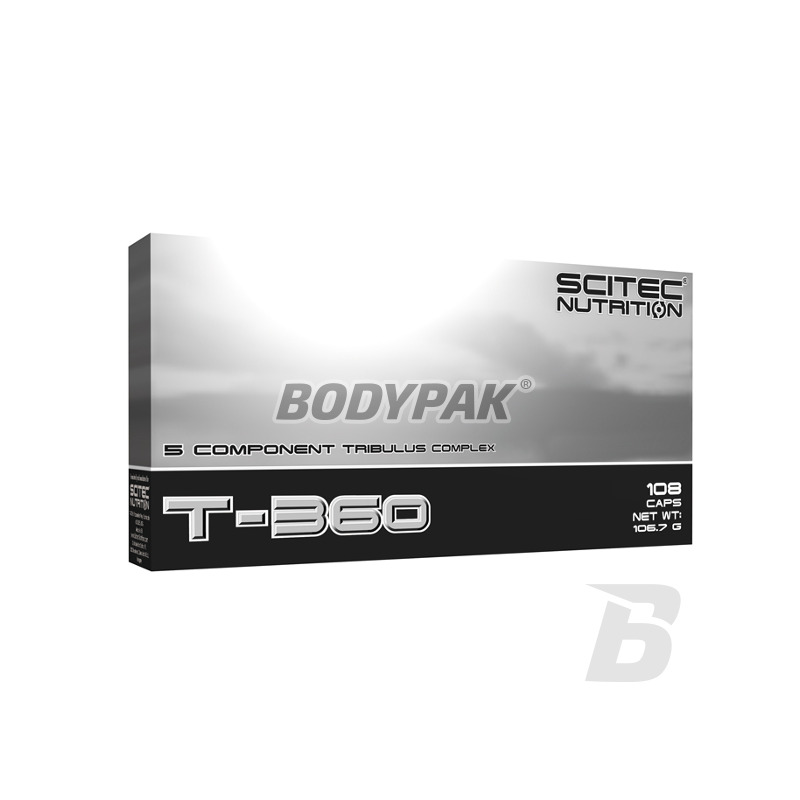 Scitec T-360 is not only a strong and effective stimulator of the production of testosterone and growth hormone, as well as preparation improves erection strength and accelerate the burning of fat cells. Already after a short time of use is shown a significant increase in free testosterone circulating in the blood! 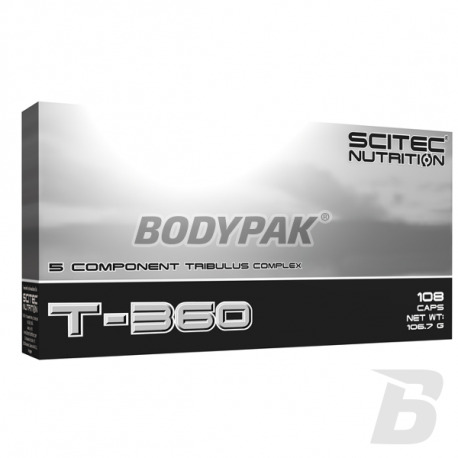 Scitec T-360 has only recognized and fully safe active substances such as: - Tribullus terrestris extract, L-arginine hydrochloride, acetyl L-carnitine, L-carnitine L-tartrate and zinc! Arginine is the precursor of nitric oxide (NO). T-360 to provide both L-carnitine and L-carnitine tartrate. Zinc helps to maintain a normal level of testosterone in the blood, normal fertility and reproductive performance, and proper protein synthesis. * This combination of ingredients makes the T-360 is very popular among men, particularly those hard training! Use one serving 30 minutes before training or sexual activity. Use the 1 caps. Before meals. Ingredients: L-arginine, extract (fruit) Tribulus (Tribulus terrestris L.), L-tartrate, L-carnitine, beef gelatin, hydrochloride acetyl L-carnitine, anti-caking agent (magnesium salts of fatty acids), zinc gluconate, a colorant, (titanium dioxide, Tatrazyna **, brilliant blue FCF). regeneracja na plus i Libido zdecydowanie wzrosło. Polecam! Biogenix Testovarin - 90 kaps. Very strong testosterone booster whose potency was achieved using only high-quality extracts of natural origin with the addition of magnesium, zinc and vitamin B6! Intensifies anabolic processes, accelerate muscle growth and physical strength. Universal Nutrition ANIMAL M-Stak - 21 szasz. Strong stack building muscle mass and strength - the original statement of the strongest natural ingredients intensifying to the maximum anabolic effect of the body!